In the upcoming weeks, we’ll be getting up close and personal with some of the featured runway designers and brands, with Audio Helkuik as today’s spotlight designer. 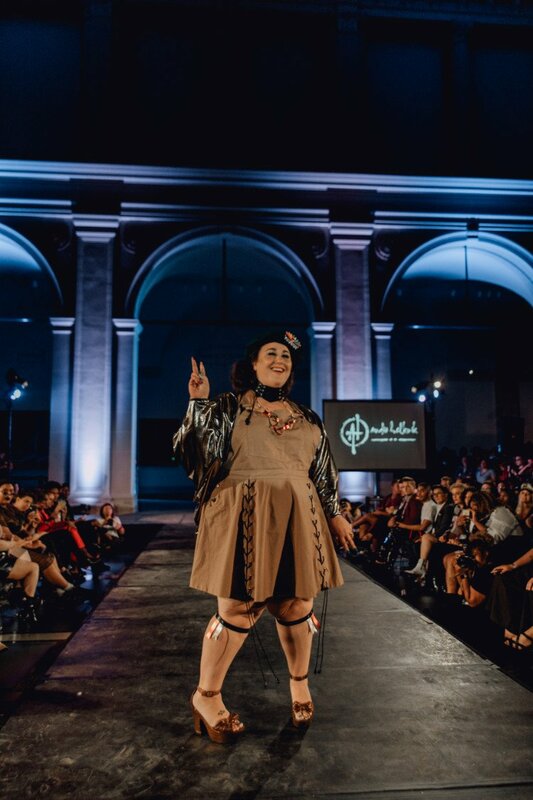 Audio Helkuik is a clothing and accessories brand based in Omaha, NE with a gender-free design mindset and a focus on leather. Talk a bit about the collection you featured on the runway and what inspired your collection. 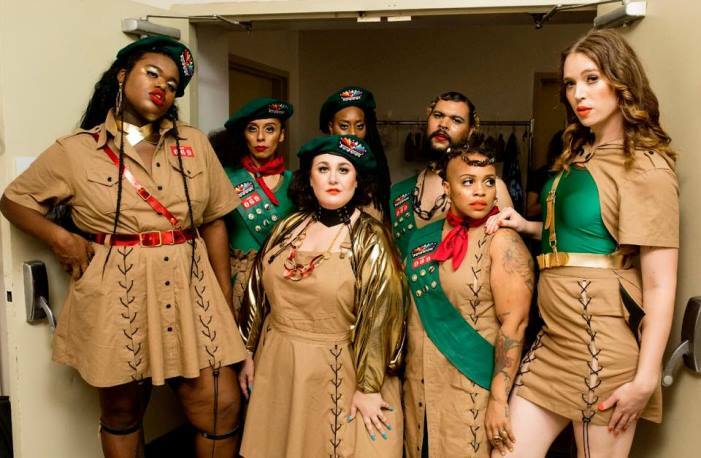 The Queer Scouts collection was dreamed up with a heavy dose of nostalgia, a marathon of Troop Beverly Hills and a lot of queer power. I love the traditional scout aesthetic and camaraderie, but wanted to queer it up. 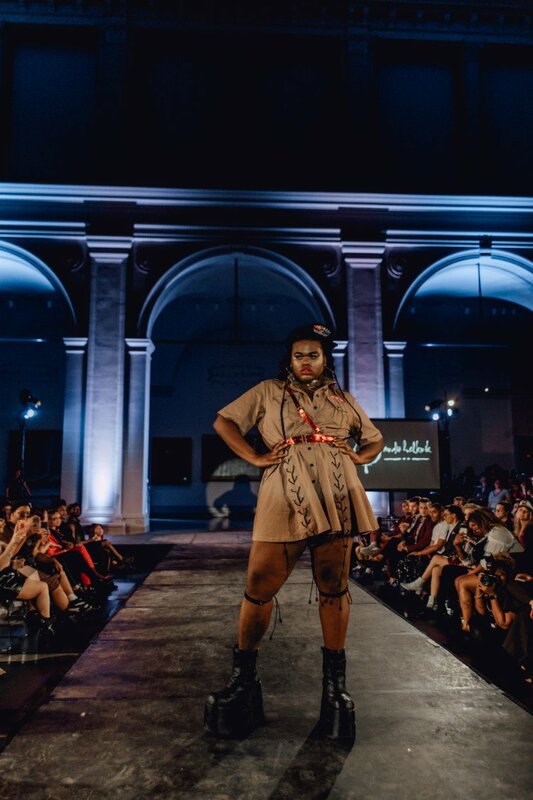 I was so excited to create this little queer troop for the dapperQ runway! How many years have you been featured in the show? This was my second year showing a line on the dapperQ runway. How has the show evolved? How have your designs evolved as you present each year? Even from one year to the next, I saw more diversity in design aesthetic. It’s excited to see all the femme details infiltrate into the show. 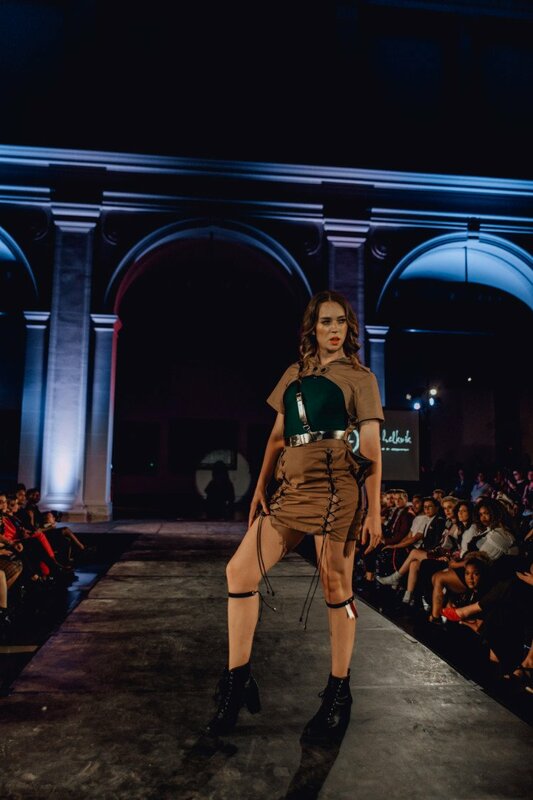 This first collection I showed was heavy on the leather harnesses. I LOVE designing and making leather harnesses but I found that I missed designing clothing. I wanted to shift a little and remind people I can still make clothes! What was your process and experience like, starting from selection to the runway? I was super excited to be selected to show again! Now that I had experienced the show before, I knew what to expect and how to run with it. My models were so on board with the Scouts theme. My styling crew was also in sync and psyched to create looks for me. Energy within my team really got buzzing the weeks leading up to the show. I chose a Bjork song for my runway music, because you just can never go wrong with Bjork. She basically invented sound, so she wins. Backstage is always so great at the dapperQ show. I never encounter cattiness, which is prevalent in most fashion backstage situations. At this queer show, everyone is so encouraging and uplifting. I’m constantly batting away compliments just so I can get my models all dressed and accessorized. Positivity in abundance! Seeing the models rev each other up just before it’s our turn to walk and then watching them strut on the runway is the most satisfying experience. Build an amazing team that builds each other up and you cannot go wrong. Being part of the dapperQ show means my brand doesn’t have to fight to be seen and heard. They are ready with a spotlight and a microphone to highlight our community, our aesthetics, our voices. It feels like home in the fashion world.